Printable Solar Panels / Cells – A Primer. Printable Solar Panels – at some point it may be possible to use a simple desktop inkjet printer to print your own solar cells. We’re a while off that yet, but with great advancements in the technology over the last couple of years, let’s take a look at what the future holds for printed solar cells! We wrote last week about the University of Newcastle and their foray into printed solar cells – today we’re going to take a bit of a deep dive into the situation and see where we can expect this technology to go in the next few years. 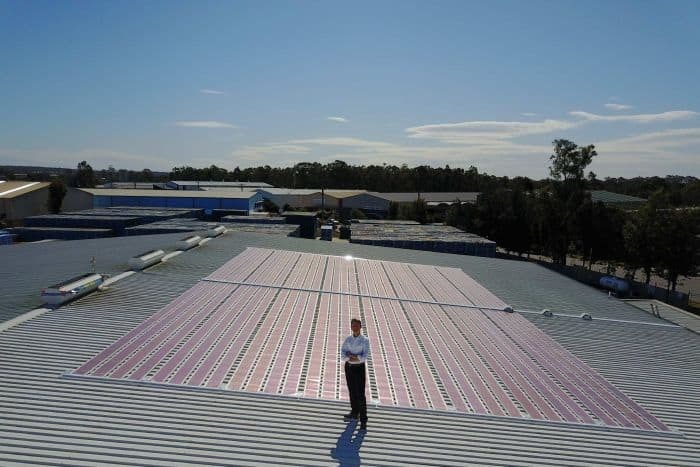 The University of Newcastle are reporting that their latest tests in Newcastle brings them “about two years” away from launching their product onto the commercial solar market. Leading the charge has been University of Newcastle physicist Professor Paul Dastoor, who created the electronic inks which are used to print the flexible solar panels. The process is According to the ABC, semi-conducting ink is printed on a transparent plastic sheet for the first layer, and then layers are printed on top of the other, until the cells are about 200 microns thick. For reference, human hair is around 50 microns. After that, a “top contact layer” is done again, reel-to-reel, using a technique known as sputter coating, according to Professor Dastoor. They estimate the cost of their modules at less than $10 per square metre which is extremely cheap – the main problems are the efficiency of the printed solar panels and ensuring there’s enough space for them as it’ll take quite a lot of room on a roof. They use a lot of plastic to manufacture as well so looking at ways to recycle the waste of printed solar cells is extremely important. For that reason, in six months Professor Dastoor and his team will pull the printed solar cells off the Melbourne roof they’re currently on and investigate ways to minimise environmental waste. Printed Batteries on Printed Solar coming to market. The University of Newcastle has been able to deliver printed solar cells at a production cost of less than $10 per square metre. They are now powering a Newcastle business and showing results in the wild. Amazing steps forward for solar technology, and in our own backyard! How long until we can print solar cells at home using inkjet printers? 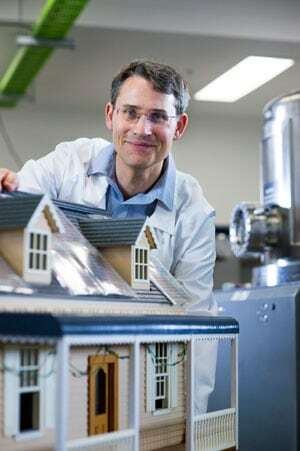 University of Newcastle physicist Professor Paul Dastoor has created electronic inks which are used to print the flexible solar panels – offering “unprecedented affordability” and could help solve the energy crises in New South Wales and Australia-wide. “We are changing the climate, we know it’s because burning fossil fuels and we have to shift to renewables, even if leaders in Canberra can’t understand that,” he told AAP via the Bega District News. The team are able to print hundreds of metres of solar cells at the Centre of Organic Electronics at the University of Newcastle. If a commercial scale printer were obtained, this could easily be upgraded to kilometres of cells. Around 200 square metres of the printed solar panels has been installed at an industrial site owned by logistics company CHEP in Beresfield, near Newcastle. This is a fantastic step forwards for solar panel technology People who are wanting to install solar into a rental property or those who don’t have access to a roof (apartment solar) will be licking their lips at the possibility. Indium is a rare material and could be gone in 15 years. The ink needs to be weather resistant and can survive harsh conditions. It looks like the efficiency of Dr Dastoor’s printed solar panels is around 2-3%, but at only A$10 per square metre when manufactured at scale, it looks like these modules are certainly commercially viable, even if they’re not the most efficient cells in the world. In six months they will remove the test panels from the CHEP roof and have a look at recycling the material. Professor Dastoor and his team will also run some statistics on how well the printed solar was able to perform. We’ll keep you updated! If you want to learn more about flexible solar panel tech, please click here.